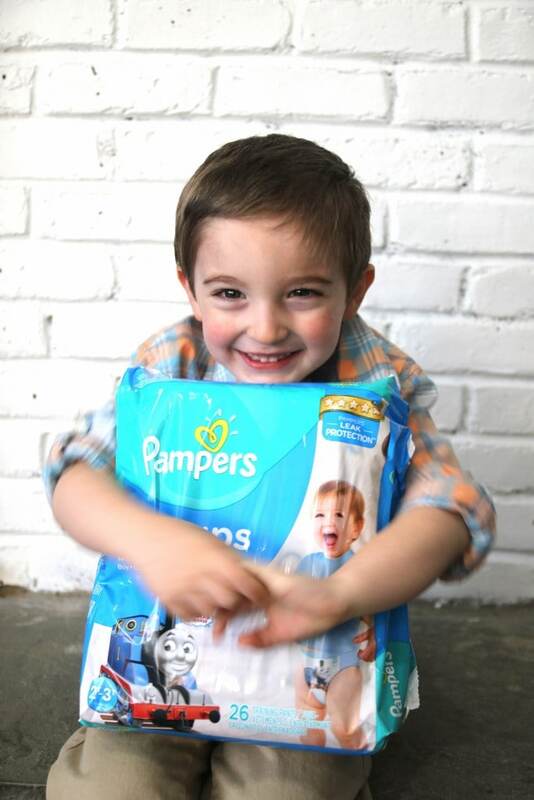 This post was sponsored by Pampers through their partnership with POPSUGAR Select. While I was compensated to write a post about Pampers Easy Ups Training Pants, all opinions are my own. Baby number three. The last hoo-rah! This is it for me, folks. There’s a lot of lasts. Last time your baby starts to talk and walk and keep you up all night long! There are so many things you really appreciate more and more when you have 2 other kids that are now almost 11 and 9! The first time, it’s a blur. The second time, since it was only 2 years, was still a blur. This time, with the almost six-year gap, really offers some perspective. You let a little more slide, you take a little more time. You enjoy it a little more. It’s a very bittersweet feeling and experience, but I wouldn’t have it any other way. This will also be my last attempt at potty training and I am so excited to complete this part of my life. Don’t get me wrong, I’m not trying to rush through the toddler years because I am enjoying them more than ever before… but anyone that’s been through potty training knows that this can be an uphill battle if you don’t know the rules of the game. 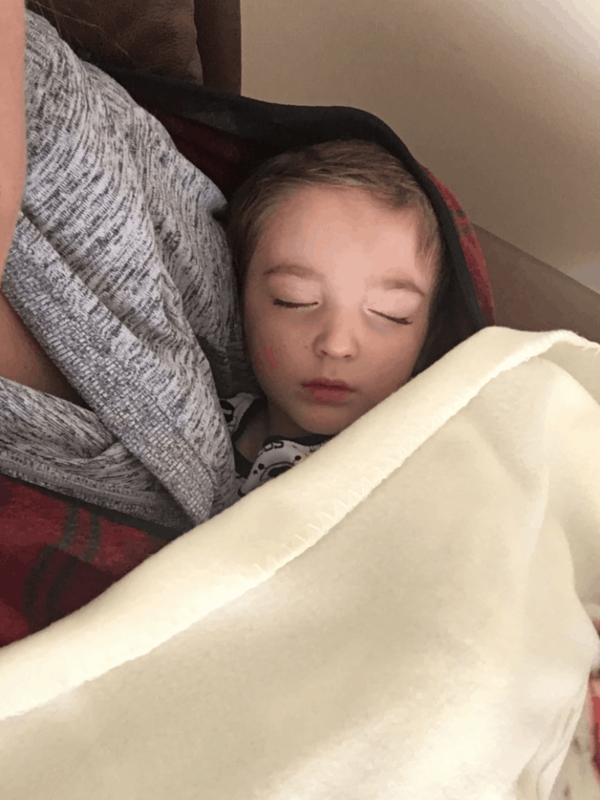 As a seasoned mom, I’m here to provide you with a few lessons that I’ve learned after going through this journey twice before. My advice might not work for everyone… but it’s a place to start!! I know you’re excited. You think it’s the next big milestone. You want your baby to be an achiever. You want to not change poopy diapers any more. I get it, believe me. Anyone with a child has been there and done that. There’s nothing wrong with that. But, if you want to avoid the majority of accidents and meltdowns, wait until your child is actually ready to be potty trained. I know it’s exciting to think about leaving the house without a bag filled with creams, wipes and diapers, but if your child isn’t ready for this lesson then you will just set your family up for failure. My daughter was potty trained at 2 1/2 years old but my son was potty trained at 3 1/2 and that was ok! I just knew that he wasn’t ready before that. Let go of any expectations and be conscious of your child’s needs. Plus, let’s be honest, this is the baby. I’m holding on to him being little as long as I possibly can. I know how fast they grow up and I don’t want to let it go just yet. There’s no need to kill yourself or your child…let it happen when it happens. This one might surprise you! Some children will be driven by a sticker chart while others will need time on the iPad. Every child is different. A friend of mine would give her son toy cars from the Dollar Store every time he properly used the potty and you know what? There’s no judging coming from me! Nope! You won’t find any here! It’s a struggle for some kids and if toy cars did it for that little boy then kudos to that mom for figuring it out. It really only takes a week or two to get through the process. In the end, what’s 14 extra cars in the grand scheme of things? LOL! 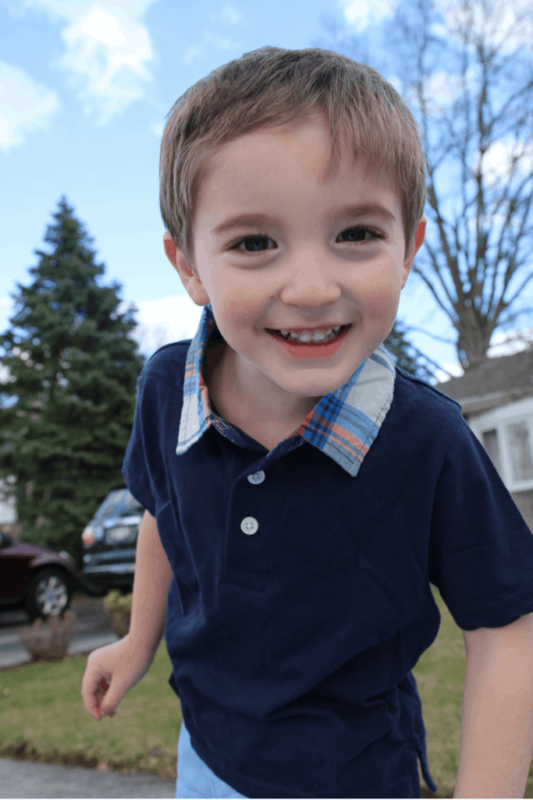 For my two older children, we used Pampers Easy Ups Training Pants and I absolutely plan on using them again for Caleb. Easy Ups are designed for when your toddler is ready for potty training during the day but still needs protection at night. The LAST THING a mom needs is their baby getting up in the middle of the night with a leaky diaper. T-H-E W-O-R-S-T. These training pants are a life saver, especially with all the awesome characters on them. They really make your little one feel like a big kid! It’s like underwear, how can they not love that?? This is such a major part of the experience for me and my kids. If your child has other siblings, let potty time become a family experience. The baby needs to see their older brother or sister sitting on the potty and happily doing their business. After all, the best way to teach anything is to lead by example, right? Parents should also not be afraid to invite their child into the bathroom to allow their baby to watch them use the facilities. You should also consider checking out songs and shows about potty training on YouTube, or heading to your local library and picking up books associated with the theme. Allow your child to explore potty training in a variety of ways. This is honestly not my creation. A friend of mine did it with all of her children and I thought it was the cutest thing. The Potty Training Party happens only after potty training is complete. Who doesn’t love a party? No one, that’s who. Allow your little one to pick out decorations and invitations. You don’t have to actually invite anyone except for people in your family. Once you feel that your toddler is completely potty trained, throw a party! Ask your boy or girl what their favorite food is and indulge! What better way to end a journey than with a party! WOO HOO! Celebrate. You and your child have pulled it off! Why not enjoy it. It’s a big accomplishment that hopefully, with this little list, got a little bit more fun and a little bit easier. Do you have any tips that you’d like to share regarding potty training? Would love to hear your thoughts!! Leave them in the comments below. Potty training is one thing I am so glad to be done with! My son was the easiest out of all three kids! I’m soooo glad the potty training days are over for this household! That was such a difficult and stressful time! Good luck to all who are potty training! I am going to need to send this to my sister who will be potty training her child soon!